VOLZET! Lezing door Magnum fotograaf Carl De Keyzer D.P.R. Korea Grand Tour georganiseerd door Fotokunst van de Academie en Vaktekenschool Temse/Bornem op 30 november. 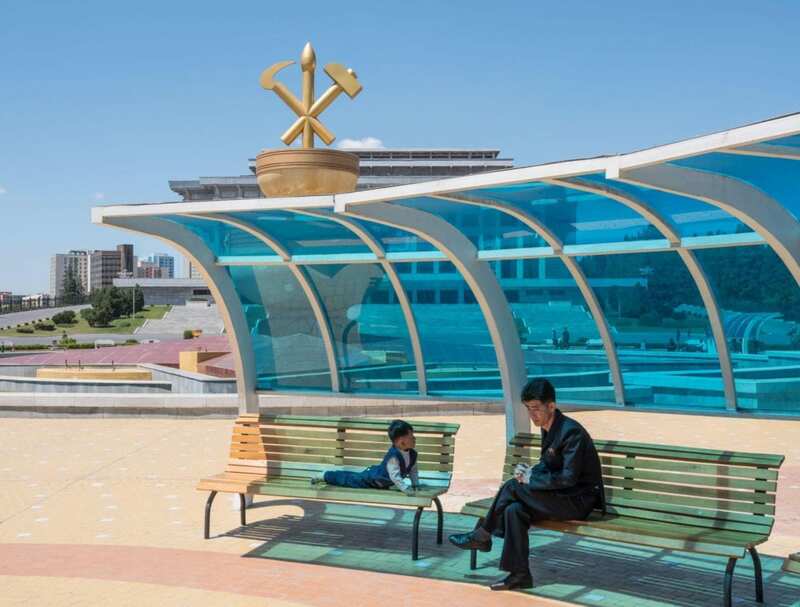 Zijn foto’s zijn een ‘grand tour’ door North Korea, het meest afgesloten en teruggetrokken land in de wereld. Magnum fotograaf Carl De Keyzer uitgenodigd. De Lezing van Carl De Keyzer is volgeboekt. De plaatsen zijn beperkt, op voorhand inschrijven is noodzakelijk. Dit kan via stephanie.vanmol@gmail.com, leerkracht Fotokunst. When it comes to foreign visitors or artists, North Korea must be the most restrictive country in the world. Nevertheless, Carl De Keyzer managed to cross the entire country in 42 days, divided into three journeys. 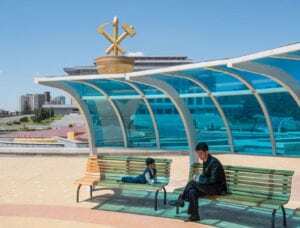 In his latest book, Magnum photographer Carl De Keyzer points his lens at North Korea, officially the Democratic People’s Republic of Korea, the last communist state in the world from an ideological, political and cultural perspective. De Keyzer is one of very few photographers who got almost-unlimited access to the country. He photographed more than 200 different locations, many of which had never been captured on camera before. The 250 photos that form his ‘Grand Tour’ – taken on marches, at the shooting range, in the subway and in family homes – are a testament to this country’s uniqueness.